It's that time of year again for the Great Seaside Vintage Fair to come to Whitby again for the 6th year running. The doors open from 9.30am until 4pm both days and the entry fee is £2.00 per person, while under 16's are free entry and concessions can get in for £1.50. With over 40 stalls of genuine vintage treasures for you you and your home, you are bound to find something for yourself or a present for a loved one at home, or even a birthday present for a friend. Rose & Brown Vintage who hold the fair have been trading since 2007. 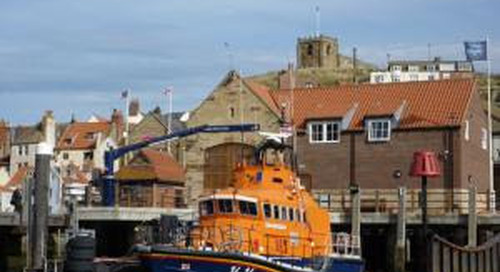 They are dedicated to organising quality events, such as this one in Whitby, which has been help every July since 2011. 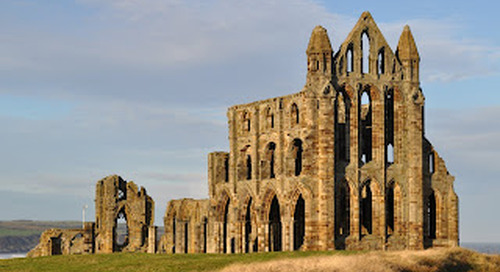 They also hold fairs in other parts of the country such as Leeds and Bradford. As you can see from the fashion, there were lots of styles of ladies clothing as well as men's clothing. 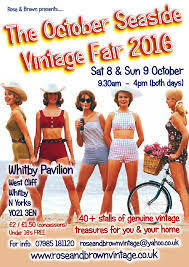 There is a style of clothing for everyone, so if you would like a new vintage dress or piece of clothing then the Vintage Fair is the place for you! 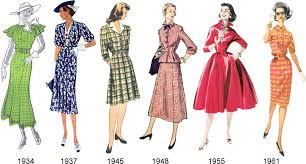 My favourite era of clothing was the 50's with the rockabilly look with the flared skirt and a more fitted top half! What is your favourite style of clothing from the vintage range? Do you like to 60's look? Or the 70's? 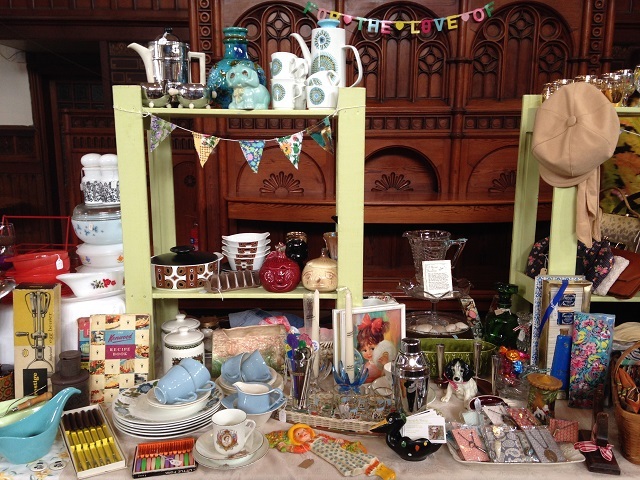 If vintage clothing isn't for you and vintage kitchenware or collectables are, then there are a variety of stalls for you to peruse at your leisure over the weekend! You are sure to find a new item to purchase to add to a collection you already have, or even to start a new collection off! There are lots of stalls like the one opposite to have a look at all the lovely kitchenware etc! I think I will be having a look at purchasing some new kitchenware while I'm there! 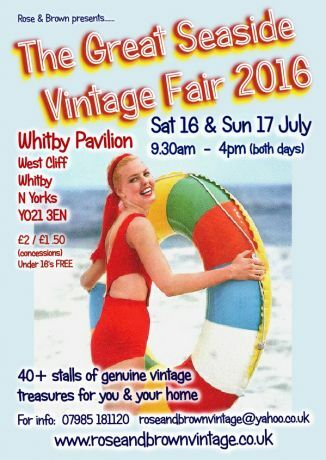 If you can't make the Vintage Fair in July do't worry as there is another Vintage Fair being held in October - 8th and 9th! So booking yourself in to come and stay with us and then you can have a look around this great event!